Throughout National Aboriginal History Month we’ll be highlighting works about Aboriginal history, including book excerpts, illustrator interviews, and author guests posts. The following is an excerpt from The Truth About Stories by Thomas King. I was born the privileged skin. Let me tell you a story about a revelation. When I was much younger and more prone to be incensed by injustice than I am now, I was invited by a small college in Northern California to be on a panel as part of their “Indian Awareness Week.” There was a “Black Awareness Week” and a “Chicano Awareness Week,” which left, if I’ve done the math correctly, forty-nine “White Awareness Weeks.” Still, it was a chance to say something meaningful, and being politically naive and eager, I accepted. 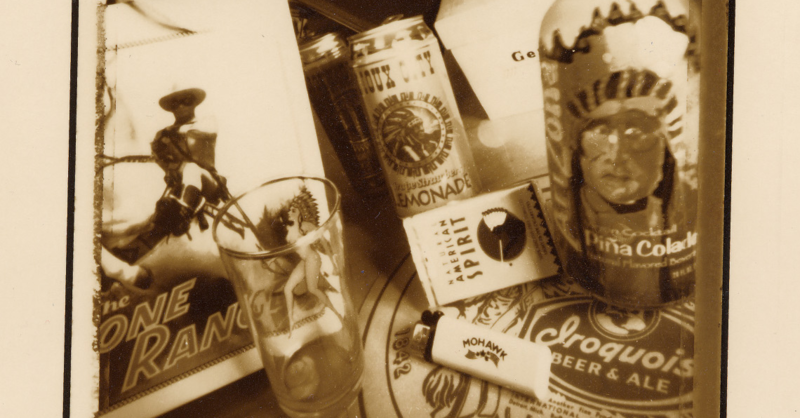 There were four of us: a Mohawk artist, two guys from the Bureau of Indian Affairs, and me. The Mohawk guy talked eloquently about traditional art, spirituality, and pride. The two guys from Washington made pragmatic speeches complete with charts and overheads to show the kinds of programs that were available to Native people who wished to better themselves, along with the kinds of economic opportunities that various government agencies were providing for the benefit of tribes, such as oil exploration, coal mining, dam construction, clear-cut ­logging ventures, and nuclear waste storage. For my part, I told stories. Stories about broken treaties, residential schools, culturally offensive movies, the appropriation of Native names, symbols, and motifs. the coast of Northern California in 1860, had forced Native peoples out of their homes, and in many instances, simply hunted them down and shot them on sight. More than likely, the people in Oroville didn’t know there were any Indians left in the area. This one was not in particularly good shape. He was sick, hungry, and near death. The butchers called the sheriff, and the sheriff, not knowing what to do with him, put him in a cell reserved for the insane at the local jail. He was a Yahi. Maybe part Maidu. Maybe part Wintu. No one really knows. But like James Fenimore Cooper’s Chingachgook, and Peter Such’s Shawnadithit, he appeared to be the last of his people. Had he died in jail, there wouldn’t have been much of a story. He was rescued — and I use the word “rescued” guardedly — by Alfred L. Kroeber and Thomas Talbot Waterman, two anthropologists from the newly opened Anthropological Museum at the University of California in San Francisco. With the co-operation and permission of the Bureau of Indian Affairs, who believed that they owned all Native people in U.S. America, Kroeber and Waterman took the Wild Man of Oroville to San Francisco and gave him a place to stay at the museum. His name wasn’t Ishi. He never told anyone his name. Kroeber, under pressure from reporters who got tired of calling the Indian the Wild Man of Oroville, named him Ishi, a Yahi word that means simply “man.” For the next five years, until his death in 1916 from tuberculosis, Ishi lived and worked at the museum. He was even given a job. Junior janitor. Twenty-five dollars a month plus, of course, room and board. It wasn’t a bad life, and Ishi, from all accounts, enjoyed it. He had the freedom to come and go as he pleased. He rode the trolley cars in San Francisco, went to the opera and the ocean. He followed doctors as they made their rounds at the university hospital. He was fascinated, according to Theodora Kroeber, not so much by what Whites did as by their numbers. And each Sunday afternoon, for about two and a half hours, he demonstrated Indian arts and crafts — arrow making, hide preparation — for the curious of the city. He was not, so far as we know, abused. Kroeber kept the vultures away, refusing the requests to put Ishi on the vaudeville circuit or in the circus. There were no “I Saw Ishi” T-shirts, no boxes of Ishi breakfast cereal, no Upper Deck Ishi rookie cards, and no bobble head Ishi dolls. The people at the museum were inordinately fond of pointing out that Ishi was, in fact, free to return to the mountains and lava fields of Northern California if he chose to do so. You can go home any time you wish, they told him. For there was no home. No family. Not anymore. Ishi hadn’t come out of the mountains because he had seen an advertisement in the employment section of a newspaper. the museum until his own death because he had nowhere else to go. It’s a killer story, isn’t it. And I told it with vigour. I probably waved my hands, raised my voice, may have even banged the podium. And when it was all over, after the guys in their suits had packed up their charts and transparencies and sat down, it was clear that the Indians had carried the day. You could see it in the eyes of the audience. Some of the women were actually crying. And what applause! As we filed off the stage, one of the organizers, the woman who had invited me to speak, appeared. She shook hands with each of the guys from Washington, and at the same time handed them an envelope. I was delighted. I knew what was in that envelope. I nudged the Mohawk guy, but he had already seen the envelopes. I must admit I had my money spent before I even got to the woman. She shook my hand and thanked me for coming and told me that she thought my remarks would stay with her for a long time. But she didn’t give me an envelope. For a moment I thought she had forgotten. So I held on to her hand. She could have it back when I got my envelope. But there was no envelope, and the woman seemed surprised I even asked. Were you promised money? she wanted to know. Well, no, we hadn’t been promised any money, I said, but you paid the other guys. she said, they’re the experts. What were we, I wanted to know, entertainment? It was a rhetorical question. The woman was supposed to be embarrassed and apologize. She was supposed to promise to find the necessary funds to pay us for our time. 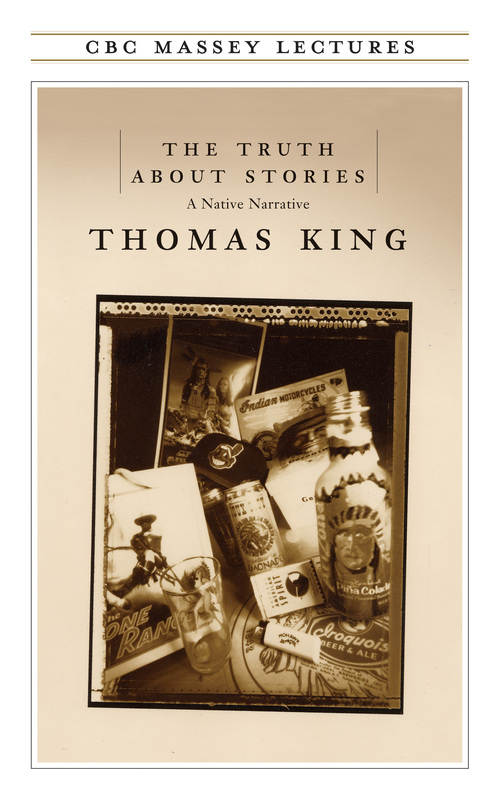 Beginning with a traditional Native oral story, King weaves his way through literature and history, religion and politics, popular culture and social protest, gracefully elucidating North America’s relationship with its Native peoples.